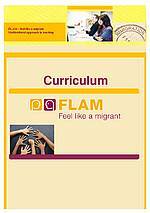 Curriculum "Feel like a migrant"
The curriculum refers to the special requirements of migrants and different cultures and social backgrounds. It reflects on the real situation of the target group, migrants, and includes a range of social and communication skills focusing on the specific requirements in their environment. 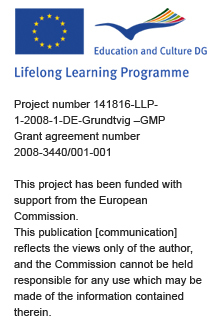 The concept underlying our methodology is the need to be sensitive to and understanding of the expirience of learning in multicultural environments. In our workshops for teachers, trainers and other educational staff we aim to assist the participants to "get into the real situation" of migrants and people from ethnic minorities, in other words, to feel like a migrant. We believe that our concept has an important impact on raising awareness concerning social cohesion and intercultural dialogue and on raising multicultural competences. Here you can find the Flam-Handbooks as PDF files. 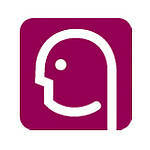 as a complementary product, are designed for all adult education and vocational training institutions and for trainers. This collection of materials and methods can be used, because of their modular structure, for a wide variety of measures and interactions. 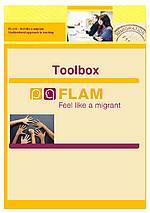 Pilot workshops "feel like a migrant"
realized by a trainer team from partner institutions, with trainers, teachers and other staff (such as advisers) working with migrants. During the pilot courses the curriculum and tools has been tested. The workshop is constructed on the basis of case studies and role plays in order to put participants in the role of migrant. The situations created are related to attitudes, behaviours, socio –economical, educational, family profile and political party affiliations, which can influence the process of integration. The participants in the pilot workshops have been put in situations where migration to another country is a very great challenge. This decision has long-term consequences: overall adjustment to the new surroundings, sometimes separation from family, looking for a job and accommodation, lack of cultural and societal support, sometimes lack of language knowledge. 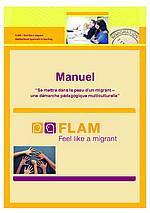 To make the feeling of being a migrant more realistic , the role plays were challenging, for example, using two languages during training, the mother tongue language and a foreign language. Trainers, teachers, educational staff and migrant learners took part in the workshops. 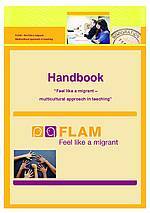 After the pilot activities and validation a handbook (curriculum and tools) for trainers, teachers and education staff working with migrants have been produced and disseminated.